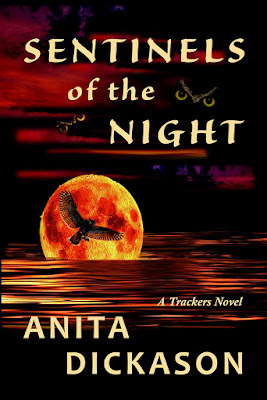 Sentinels of the Night by Anita Dickason - Book Tour - Book Sale - Book Trailer - Guest Post - Giveaway - Enter Daily! Hello lovelies! It gives me great pleasure today to host Anita Dickason and her new book, “Sentinels of the Night”! For other stops on her Goddess Fish Promotions Book Tour, please click on the banner above or any of the images in this post. Be sure to make it to the end of this post to enter to win a $25 Amazon or Barnes and Noble Gift Card!! Also, come back daily to interact with Anita and to increase your chances of winning! Overhead, a deep hoot echoed, followed by the flap of wings. Two owls settled on top of the railroad car. Perched side by side, the formidable talons that could crush the spine of their quarry in an instant clung to the edge. Tufts of hair that protruded like horns and the glow of huge golden eyes gave the birds a fearsome appearance. Motionless, she eyed the large raptors while she pondered their intervention. A bewildering deviation from their normal behavior. When I retired from the Dallas Police Department, my retirement didn’t exactly go as planned. What I didn’t realize was the problem with all the free time on my hands. I decided to start my own business in accident reconstruction. I received a call from a film company in California who had found my website. They were filming for a new reality TV series that dealt with unsolved mysteries. In the first show, an episode would be about the death of a key witness, Lee Bowers, Jr., to the Kennedy assassination. Bowers was killed in a motor vehicle crash in 1966. Over the years, the conspiracy theorists have claimed he was killed because of what he saw the day Kennedy was shot. A date was set for the filming and the film company had obtained permits from the Texas Department of Transportation to shut down a section of the freeway outside of Midlothian, Texas, a small community about thirty miles south of Dallas. At first, I was not receptive to their offer. I did not want to appear on camera to talk about an accident that I knew nothing about and had little time to research. They asked if I would at least look at the material, and I agreed. The packet I received included a video of a Geraldo Rivera episode that was filmed in the middle 90’s on the same topic, Bowers death. A man stood on the southbound lane of the divided highway pointing to a bridge where Bowers was killed. This location was the same one the film company intended to use. It didn’t take but a few seconds to realize that everyone had the wrong bridge. It didn’t even exist in 1966. In fact, documents I located at the local courthouse revealed the land wasn’t purchased by the state for the highway expansion until after Bowers was killed. I was fortunate to find the actual accident location and the film company switched to the new site. I became so intrigued with the project, I decided to attempt a reconstruction of the accident. Talk about the ultimate cold case, this was it. Every single detail had to be evaluated by the standards and procedures in effect in 1966. I wrote a book, JFK Assassination Eyewitness: Rush to Conspiracy that details my results and conclusions. While I enjoyed the process of writing the book, I had no intention of continuing as a writer until I spotted a website that ran a contest for short stories. Each month a picture would be posted. The story had to relate to the picture and was limited to 500 words. The picture was fascinating. A doll, tattered and torn, stood in the middle of this dilapidated barren room. I thought, what the heck and wrote a story, Not Dead, Not Dead. To my shock and amazement, I won third place. And that’s all it took, I was hooked. My first fiction book was Sentinels of the Night, and it took two years to complete. I took online courses in writing and submitted chapters for critique and evaluation. I joined a local writing group. The title even changed. The original was Blood Moon. I wrote, rewrote, and rewrote again. I lost track of the number of drafts. With each change, though, the book improved. The day I sent off another chapter for evaluation and it came back with no changes recommended, I knew I had a finished manuscript. The trials, tribulations, and growing pains paid off when I wrote the next book, Going Gone! It took about ten months to complete. One tip I would pass on to anyone who wants to write. Start with the challenge of a short story. It is a fun way to learn the dynamics of writing. When limited to 500 or 1000 words, you can’t ramble. Once the story is complete, submit it to a short story contest or magazine. Anita Dickason is a retired police officer with twenty-seven years of experience, twenty-two with the Dallas Police Department. She served in patrol, undercover narcotics, accident investigation and was on a sniper on the Dallas SWAT team. Anita is the recipient of the prestigious Law Enforcement Professional Achievement Award from the State of Texas House of Representatives. Other awards include Officer of the Year—Texas Women in Law Enforcement, Officer of the Year—International Association of Women in Police, Runner-up Officer of the Year—Dallas Police Department, Officer of the Month—Dallas Police Department and multiple Police Commendations, Certificates of Merit and Citizen/Business commendations from the Dallas Police Department and the Dallas community. 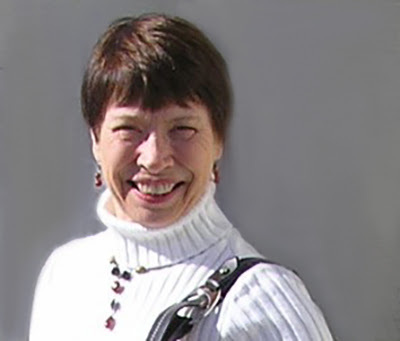 Anita was a certified instructor with Texas Commission on Law Enforcement, and the National Highway Traffic Safety Administration. Her instructor certifications include Defensive Tactics, Batons, Spontaneous Knife Defense, Field Sobriety Procedures, Drug Recognition Expert program, and Accident Investigation. She is a Past President of Texas Women in Law Enforcement, and Past Treasurer for the International Association of Women in Police. Her first book, JFK Assassination Eyewitness: Rush to Conspiracy, is non-fiction and details the reconstruction of a 1966 vehicle accident near Midlothian, Texas that killed a key witness to the Kennedy assassination. The project opened the door to a new career, Author and Publisher. She owns Mystic Circle Books & Designs, LLC and provides manuscript and design services, helping other authors turn their manuscripts into a published book. Her fictional works are suspense/thrillers and her plots are drawn from her extensive law enforcement knowledge and experience. Characters with unexpected skills, that extra edge for overcoming danger and adversity, have always intrigued her. Her infatuation with ancient myths and legends of Native American Indians, and Scottish and Irish folklore adds a touch of paranormal for the backdrop of her characters. The experience of writing led to developing a knowledge of self-publishing and graphic design and a new business endeavor: Mystic Circle Books & Designs, LLC. It is a tossup of what Anita enjoys more, working on her books or helping another author publish their works. She has found an unexpected enjoyment in designing book covers, bookmarks, bookplates, etc. Email her for an autographed custom bookplate -- anita@anitadickason.com. Anita will be awarding a $25 Amazon or B/N GC to a randomly drawn winner via Rafflecopter during the tour. 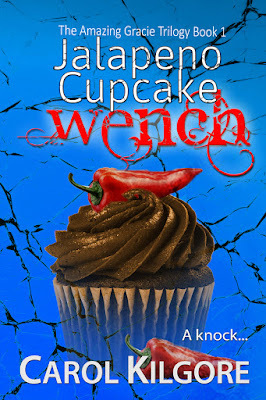 Jalapeno Cupcake Wench by Carol Kilgore - Blurb Blitz - Giveaway - Enter Daily! Hi lovelies! It gives me great pleasure today to host Carol Kilgore and her new book, “Jalapeno Cupcake Wench”! For other stops on her Goddess Fish Promotions Book Tour, please click on the banner above or any of the images in this post. Be sure to make it to the end of this post to enter to win a $50 Amazon or Barnes and Noble Gift Card!! Also, come back daily to interact with Carol and to increase your chances of winning! SAPD Sergeant Neva Salazar stood on the front porch. Gracie and Neva went back to Gracie’s early days in Homicide. A confidant for sure, but also a mentor. The week before, Gracie had gone to a surprise birthday party for Neva’s fortieth. Gracie hadn’t realized she was eight years younger than her friend—she’d guessed five, max. Neva didn’t look forty, even though she’d been heading one of the homicide teams for three years. “That’s not what they mean by a woody, Hofner. Rivera told me you were coming before Gherkin did.” Gherkin was what everyone called Lieutenant George Pickle, head of Homicide. Even the chief called him Gherkin. His wife, too. Gracie donned the shower cap, booties, and gloves, pulling the shower cap to her eyebrows. “They’re in the kitchen.” Nick turned and she followed him. Carol will be awarding a $50 Amazon or B/N GC to a randomly drawn winner via Rafflecopter during the tour. 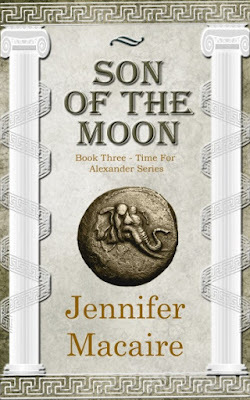 Son of the Moon by Jennifer Macaire - Book Blast - Giveaway - Enter Daily! Hi lovelies! It gives me great pleasure today to host Jennifer Macaire and her new book, “Son of the Moon”! For other stops on her Goddess Fish Promotions Book Tour, please click on the banner above or any of the images in this post. Be sure to make it to the end of this post to enter to win a $10 Amazon or Barnes and Noble Gift Card!! Also, come back daily to interact with Jennifer and to increase your chances of winning! 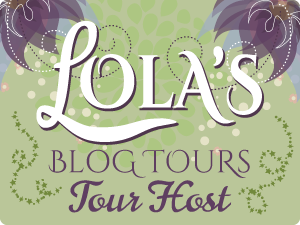 All Inclusive by Farzana Doctor - Book Tour - Book Trailer - Guest Post - Giveaway - Enter Daily! Hi lovelies! 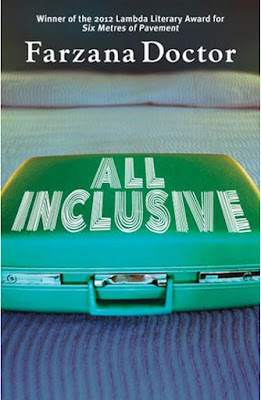 It gives me great pleasure today to host Farzana Doctor and her new book, “All Inclusive”! For other stops on her Goddess Fish Promotions Book Tour, please click on the banner above or any of the images in this post. Be sure to make it to the end of this post to enter to win exciting prizes like a $15 Amazon or Barnes and Noble Gift Card or ONE of TEN print copies of the featured book!! Also, come back daily to interact with Farzana and to increase your chances of winning! She absent-mindedly played with her long auburn hair, her fingers moving like a magician’s, conjuring it into a single braid. She didn’t tie off the end, and her hair eventually resisted the arrangement and pulled itself free. I nibbled my honey cruller, and waited for her to notice me. For another ten minutes, I scripted my words. I was a chatty fellow back then, but it took immense bravery to speak to a woman I didn’t know. I chided myself: what did it matter if I sounded like a fool? page. But I could tell she was no longer concentrating on the material. In 2001, during a writing course, the instructor told a story about how a writer he knew—someone with a full-time job and kids—managed to write a novel in 4 years by carving out 3 forty-five minute slots each week. I don’t have kids, but at the time I was a very harried manager of two addiction programs at a mental health hospital, and so I followed this example, very literally. It took me 4 years, but I managed to write my first novel, Stealing Nasreen. • Goals must be SMART (specific, measurable, realistic, attainable, time-based). For example, it works for me to set a weekly goal of 10 pages for new writing, or 100 pages when in the revision stage. Your page count goals might be less or more, depending on your schedule. • This helps me to make writing a priority. I write for an hour each morning, then take my dog for a walk, and then write again for another hour. Then I switch gears and see my psychotherapy clients. When I am really busy (for example, when promoting a new book), sometimes all I get is 15 minutes with my morning coffee. It’s amazing how much can get done in short, intentional writing sprints. • I write in a notebook or use my laptop and so I can write in bed, at my kitchen table, in a coffee shop or at my psychotherapy office. I know people who write on the subway. Just find any place that works and don’t let your imperfect environment be a distraction. • Writers need lots of quiet time to process, fantasize and imagine. Allow yourself to zone out, to take time off, to meditate. While drifting off to sleep on my acupuncturist’s table last week, I solved a puzzle in my novel that I’d been working on for days. Also, I don’t write on my vacations, because I see writing as my job, and we all need a holiday from work. • Except when near the end of a project, when I’m working with an agent or editor, no one is setting deadlines for me, so I have to set them myself. I mark due dates in my calendar. Sometime I’ll work with external deadlines by applying for a grant or submitting work to a contest to help myself finish on time. What are your tips for finishing a novel? Leave a comment below! 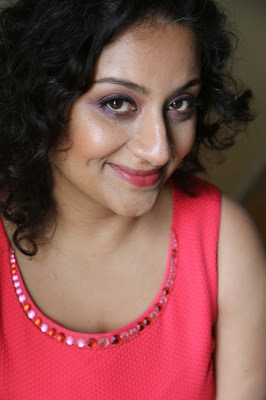 Farzana will be awarding a $15 Amazon or Barnes and Noble GC to a randomly drawn winner and a print copy of the book to 10 randomly drawn winners (US Only) via Rafflecopter during the tour.